Ultimate Poker has released preliminary details of its VIP Program which sends a clear message to online grinders that they are not welcome at the site. 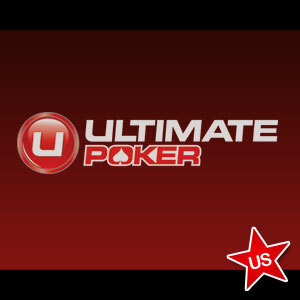 The Ultimate Poker VIP Program is scheduled to be launched sometime in the near future when the Nevada Gaming Control Board gives its approval for the new Version 2.0 of the Ultimate Poker software; but a few details have leaked out through the popular 2+2 forum which indicate that the distribution of VIP Points will be based on the “Winner Takes All” system. What is a “Winner Takes All” Points System? In contrast to the “contributed rake” and “dealt rake” systems used by other sites, the “Winner Takes All” (WTA) points system works by awarding all the VIP Points allocated for the rake deducted from the pot to the winner of the hand; with other players seated at the table receiving no credit for their contribution to the rake. The system is considered by many to be the most logical VIP points-for-rake system, as the winner of the pot has already lost money due to the rake despite winning the hand. However, on hearing the details of the new VIP Program, some Ultimate Poker players were quick to express their concerns that the WTA points system may starve the site of recreational players and reduce player liquidity at the tables. It is not unusual for Ultimate Poker representatives to participate in online discussions about the site, as it is one of the most pro-active online poker sites that accept players from the US; and on this occasion Terrence Chan – Ultimate Poker´s Director of Operations – went online to explain that all but the tightest multi-tablers would benefit from the WTA structure. When you ask people what makes a game good, they generally say a loose-passive game with people calling off stacks. The plan is to reward the weak players who go to showdown often and keep them in action. Nits need not apply. Full details of the Ultimate Poker VIP Program have yet to be revealed, but it is understood that the site is planning a ten-level VIP Program which will have eight tiers to reward players based on how many VIP Points they collect each month, and two further tiers which will be reward the top VIP Points earners based on a player´s annual performance. The upgrade to Version 2.0 of the Ultimate Poker software and the launch of the VIP Program cannot come soon enough for the Nevada company, who are starting to see a decline in player numbers since the close of the World Series of Poker and who face imminent competition from WSOP.com and other online poker sites soon to launch their own poker product in Nevada. Stay updated on the latest Nevada poker news by following PokerSites.us on Twitter.